Soulful: To Bangalore, with love.. I am an Indian and all Indian are my brothers and sisters except one who happens to be my husband :P I have seen the length and breadth of the country except east. God knows when I will make the destined trip there. I feel proud of having made friends belonging to all the regions of my assorted nation. My engagements make me love all the populaces and their culture. Rajasthan made me fall in love with the colorful jest people of the desert have. The stay in Chandigarh gave me insights of vibrant Punjabi and Haryanvi ethos. The brief sojourn in Mysore ensured that I meet folks from Maharashtra, Bihar, and of course, the intellectuals from south at one place. Believe me, I adored them all. My encounters made me rich as I could see beneath different layers of region, culture, caste and beliefs everyone is same- a person with a pure heart and a wandering soul. Just like people, languages are also beautiful and express the cultural heritage of its people. I have all my respects to all languages. Having said that, learning new dialect is not my cup of tea these days. As long as I can do without it, I do. The problem is just like my various hobbies and interest, my linguistic graph was also going hazy. 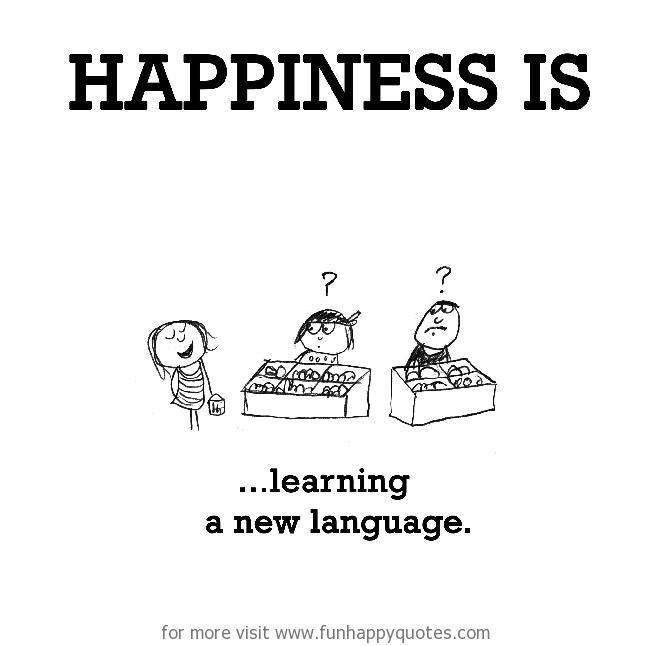 It was a childhood dream to learn different languages. But apart from Hindi, which of course is my mother tongue, and English since it’s the most spoken language, I could not be the master of any other. I tried. It started with a 3 years course in German in my graduation days. Then, I moved on to a different University in Punjab. The wonderful hostel life there took me away from practicing German. My Punjabi friends tried to teach me the rich Punjabi speech which I loved but again after 3 years I moved over to Mysore, then back to Punjab and again to Bangalore. My rhythm and efforts to learn new language broke several times owing to my movements to completely diverse regions. On top of that, the affluence of so many south-Indian languages overwhelmed me. In short, I have become anxious of learning new language. So, I decided against trying any new one for some time. It just happened that my stay in Bangalore has exceeded my past records. It has been 5 years here. My affection with Bangalore has grown. Recently, some native people have started asking me whether I understand Kannada, the native tongue of Bangalore. Every time I sheepishly say no. So how do I survive? I remind them that most people understand Hindi or English here. Still, they get surprised. The next question, one intelligent teammate put across-"How do you deal with maids, they are local?" "Well, these days I have a Hindi speaking maid. But with previous ones I would convey my messages in sign language", I replied proudly. In fact, one was only Tamil speaking. Thankfully, she could read so I would quickly translate my lines using Google translator and show her my phone. Our relationship was perfect. No gossiping and no arguments- only work. "Okay, but don’t you think that being in Karnataka for such a long time, you should learn it", said another. Now, I could not tell him my back story and my tryst with various languages. And I certainly did not want him to misinterpret my self-consciousness as a dislike for his revered mother tongue either. "You see, it never occurred as Bangaloreans are wonderful people. They make everyone comfortable and that's why it is the IT hub, the cosmopolitan Indian city. You make us feel at home here. :)"
Isn't that true? I am fond of Bangalore, its amazing weather, its charming people, its embrace. I am in Bangalore for more than 15 years now without knowing Kanada. But I speak Tamil quite well and that helps me. :) Like you I too am fond of Bangalore.